Time: 12:00pm. Address: 104 Capitol Street. 3 p.m. Saturday, Sept. 23 on the main floor of the Deadwood Public Library. Time: 8:30pm. Address: 1 Woodland RD. Time: 2:00pm. Address: 515 Walnut Street. “Meet Yankton Authors” 2-4:00 p.m. Address: The Hamilton Club Building, 32 Church Street. Time: 7:00pm. Address: 209 S Phillips Ave.
Classroom visit, Honor’s “Geek Speak” Talk and public reading. Time: 7:00pm. Cal Poly campus, “Science North” (Bldg 53) – Rm TBD. 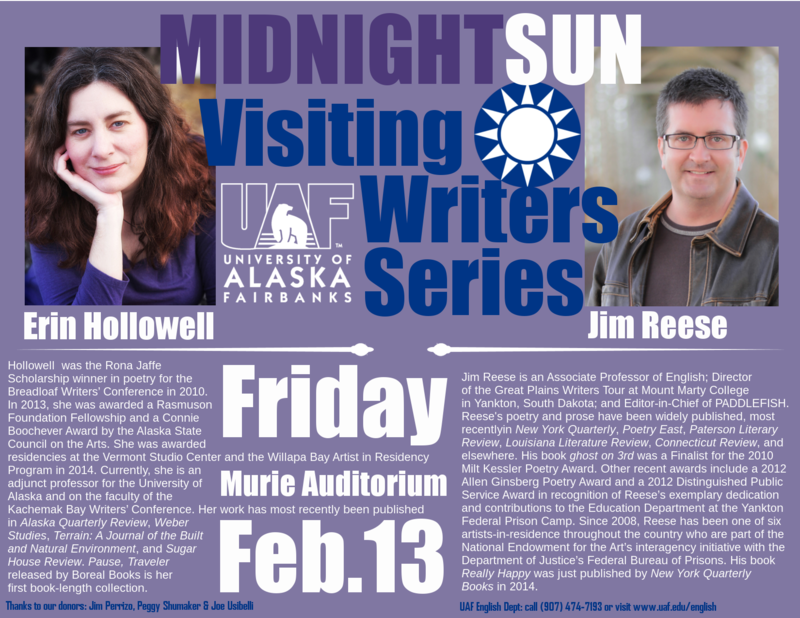 The creative writing program of Cal Poly’s English Department is excited to announce this year’s annual reading series. On Tuesday June 21st Nebraska poet Jim Reese and former Cal Poly undergrad poet and singer Ephraim Sommers will read. Both readings will take place at 7pm on the Cal Poly campus. The venue for each will be announced shortly.